It’s time for a date night! 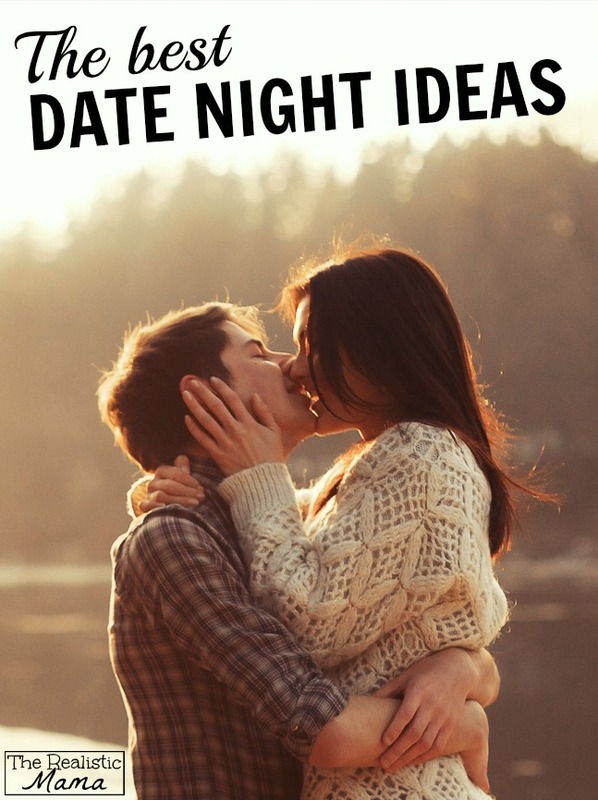 In honor our new book, 175 Best Date Ideas we’re sharing a bunch of awesome date ideas and resources, like the best games and movies for date night too! 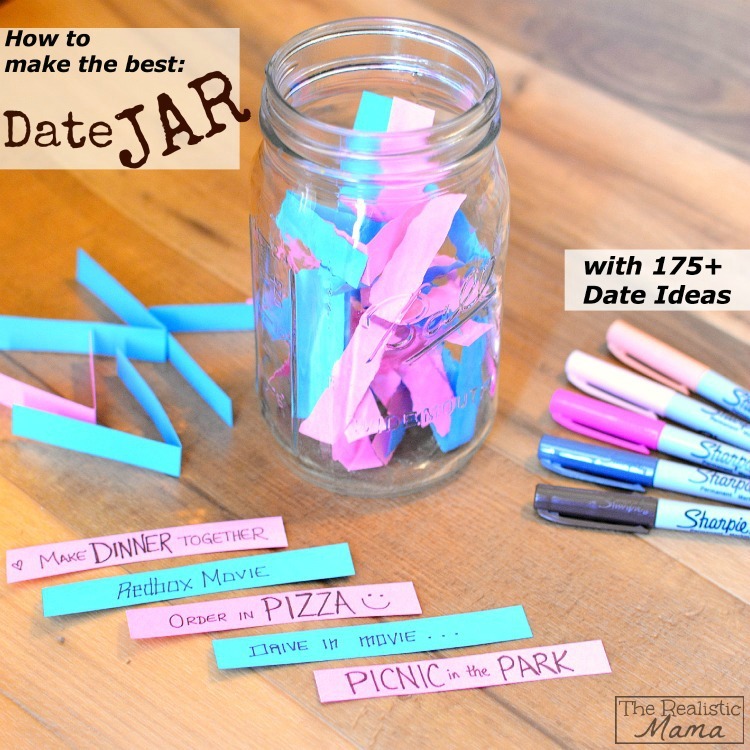 Make a date jar and fill it with all of the following date ideas. Read completely instructions on how to make one here. Put on white shirts & get ready for some messy twister. You’ll need: a twister board & paint for each color. Prepare: drip corresponding paint into each twister circle. Play as usual but enjoy getting messy together. Would You Rather is a fun card game full of “mind-boggling questions” to ask each other. Hop in the car, stop by the convenient store to grab some snacks & drive to a park to people watch while you ask the questions back and forth. Card games are always a great fall-back — here’s a book of 2 Player Card Games if you need some new ideas. Take your deck of cards to the coffee house with you, order drinks and play a game. Cribbage is an oldie but goodie. Since we don’t own a game board we snagged an app for our iPad and use that to play. Monopoly is always fun. 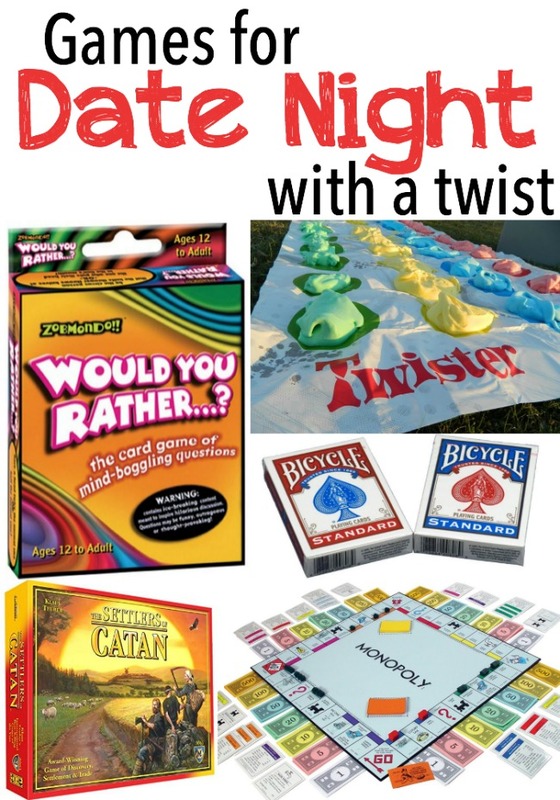 To give it a twist add a second game board and create a crazy eight effect (this is especially perfect for double dates). Don’t forget to double the money so you can afford all the added properties! Settlers of Catan has become a recent favorite around here. Although we haven’t figured out a twist for this one quite yet. Have an indoor campout together with Indoor S’mores & a movie. Make a DIY project together — here’s a list of 20 fun ones that will spruce up your home. Exercise together — here’s a couples yoga routine that you have to try! Frisbee golf in the backyard with a twist. Cook together. Homemade pizza and banana splits in a great one to start with. 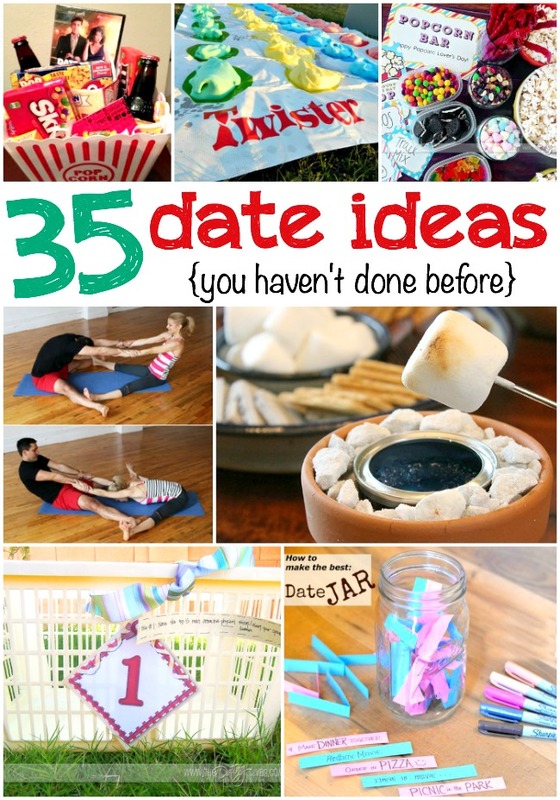 Make a popcorn bar together! 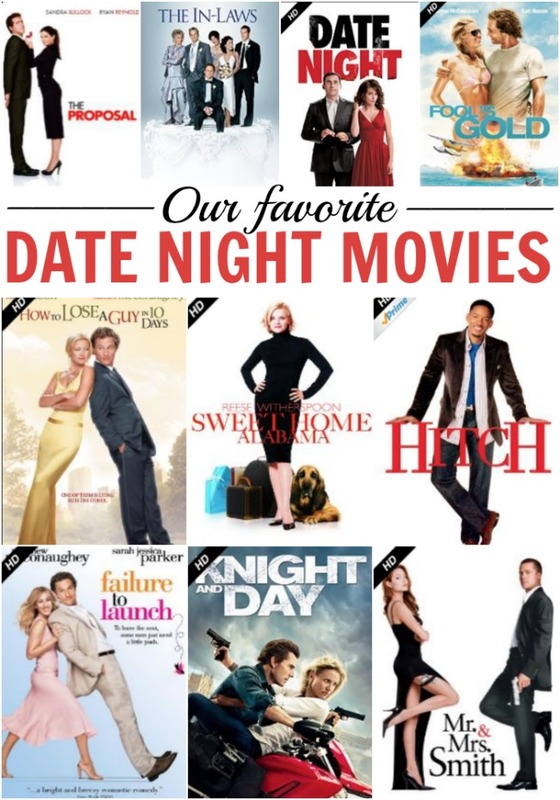 Have a favorite date night movie to add to the list? Leave us all a comment. Food crawl — appetizers, dinner and dessert at three different places. Park hopping — swings at this park, slides at the next, and finish up with a seesaw at the last park. Chat in the car while you drive between. Watch a sports game together (baseball, basketball, football, hockey, etc). Shopping date — start with $5 each and play this fun game while you shop. Head to a driving range and hit a bunch of golf balls together! The Game of Love — a DIY game board on your sheets! 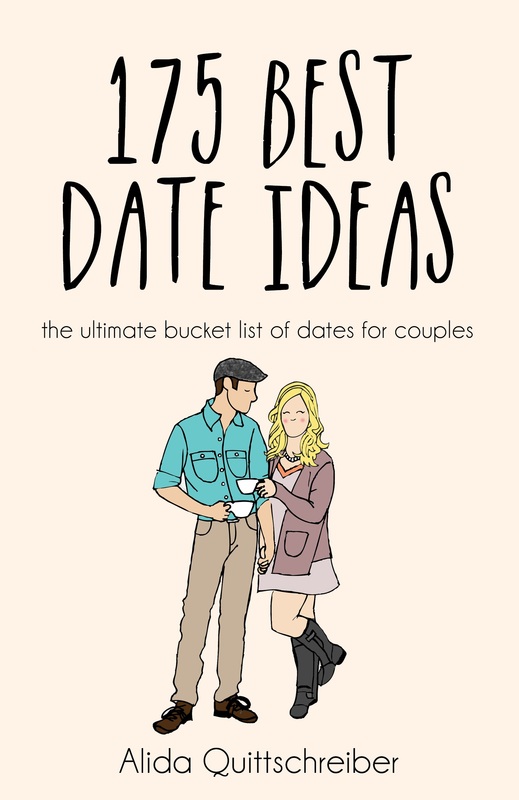 175 Best Date Ideas — the ultimate bucket list of dates for couples! Can you do them all? Before you go… are you following The Realistic Mama on Facebook and Pinterest yet?